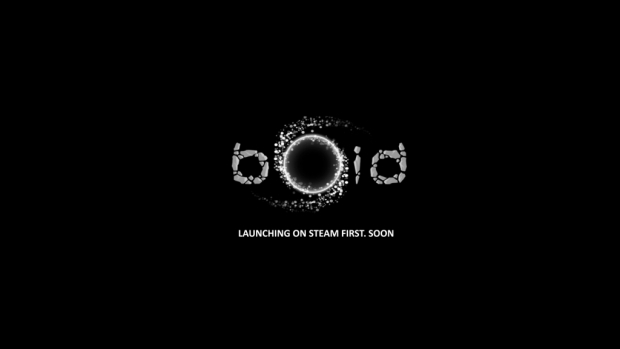 BOID is a simplified real time strategy game (RTS) developed by Mokus Games and published by tinyBuild games. The game is currently in its beta stages and only invited players have access to the game. I was lucky enough to be able to play the game in its early stages, so read on for my first impressions of BOID. A Bio Organic Infestation Drone (BOID) crash-landed on a planet, enabling its primitive life forms to mutate and develop special abilities. When I first saw BOID, it reminded me of a flash game I used to play a few years ago. It is a very simple RTS game with a goal to take over all the enemy bases on the map. You are not able to build new bases; instead you must defeat enemies occupying a base to make it your own. This mechanic leads to action packed games as both players compete for the same bases. Advantages can be gained or lost in seconds, and one mistake can lose you the game. Bases in BOID can be taken over if you are the only one occupying it. Simply stay in a base for long enough and it will become yours. Turrets are an exception, as they must be destroyed and rebuilt. The bases can be classified into four categories: spawn, class, special, and building. Spawn bases periodically generate new units which can be controlled by the players. These are the simplest units and can be transformed into more advanced unit types using class bases. There are many types of class bases allowing players to customize their army with respect to their play style and strategy. By simply moving units into class bases, they will transform into that class. We’ll get to the different unit classes shortly. The enemy is taking over my crab base! Special bases offer abilities such as Freeze, allowing players to freeze a chosen location, along with other abilities such as Revert and Teleport. Finally, building bases featuring turrets can offer additional defense. These turrets are controlled by the AI and, if coupled with other units, can make it difficult for enemies to get by. As mentioned above, turret bases have health points and must be destroyed to be controlled. Therefore, I advise you to fully commit to taking over a turret as going in without enough units can be a waste. However, it is possible to chip away at turrets as their health does not regenerate. Keep in mind that not all turrets can be taken over. Standard turrets are destroyed and do not come back, but rejuvenating turrets can be destroyed and restored by feeding it units. There are 8 different units currently available in BOID. The most basic unit is created by the generator (spawner) and has average speed and health. 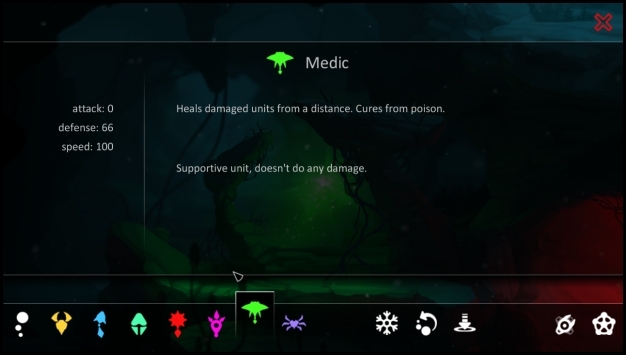 Players are able to transform basic units into fast scouts, ranged gunners, strong crabs, self destructing kamikazes, poisonous venoms, healing medics, and slow moving leeches. All these units have pros and cons and are strong or weak against certain units and strategies. It is up to the players to decide which units they want to focus on and play to their own unique play style. I prefer to focus on fast moving scouts to rush my opponents as it reminds me of playing Zerg in Starcraft II. There are many maps available in BOID and with a map editor in the works, there will always be something new available for players. All maps force players to change their strategies due to the map layout and base availability. Not every unit class is present on each map. You may be forced to build strategies around odd combinations or with units you dislike. It is essential that all players learn about and know how to use all the units. While different maps bring unique games, the maps are not always balanced. Some maps may have a powerful base or turret in the center, and I have found that the player that occupies this central location gains a big advantage from the beginning of the game. This can make it very difficult for the opponent to make a comeback. However, this design decision forces games to be quick as players need to move right away and occupy key areas as soon as possible. No matter which play style or units you choose, it is essential that you are always scouting to know what your opponent is up to. 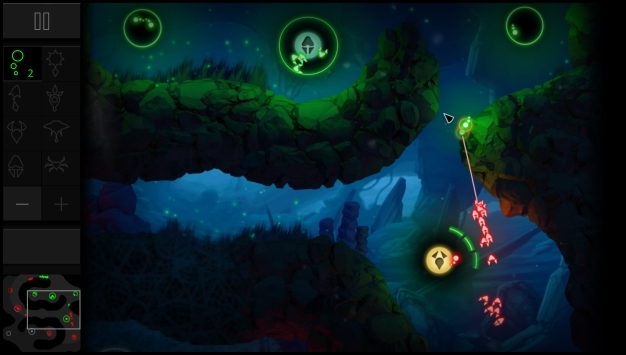 In BOID, if you have no units on a base, an enemy can simply run into it and take it over. You need to be very careful when you move units and I recommend leaving some behind unless you are confident or can afford losing that base. I’ve lost games by simply being too far from my base and enemy units sneaking around and taking the base. I’m not a big fan of bases being taken over so easily as it can encourage camping, but I do see why it is necessary as the developers are aiming for short games. The tutorial menus help new players quickly get into the game. As far as controls go for BOID, they are not bad. In the beta stages, multiple monitors are not handled correctly and it is quite hard to pan using screen edges as the mouse keeps moving to my other monitor. I resorted to using WASD or arrow keys. To issue commands to units, all you need is your mouse. The controls will feel natural to any player that has played strategy games such as Starcraft II or Dota 2 in the past. I have no complaints for the controls as they do their job and are simple. The game’s graphics make the game look great. I really like the art style used in BOID, which is visually appealing even though it is not realistic. Once again indie games show us that realism is not what makes quality game graphics. I hope to see some changes to the GUI as the bland grey and blocky style does not fit in with the game’s style. The game is still in the beta stages so there is still hope for an improved GUI. 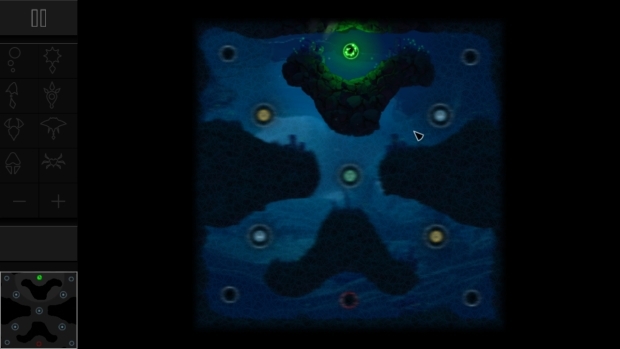 One of the maps available in BOID. The game can be played offline with bots or online with other players. In the beta there were not many other players, so it was difficult to find an online match. I spend most of my time testing the game against bots. I did force myself to wait for an online match in order to test the online play and I am pleased to say it works quite well. There was no noticeable lag and as always it was a lot more fun playing against a real player than with a bot. In conclusion, BOID is a good game that can be played casually. As mentioned previously, it reminds me of a flash game I used to play a few years back. Flash games are not really games that you can play for hours on end, you play them for a bit, do something else, and play them again whenever you find time. BOID is a good fit for gamers that love strategy but do not have to the time to learn and commit to other strategy games. The game keeps the strategy simple and learning curve small, anyone can pick it up and begin playing. This does not mean that there is no room to improve as I can see veteran players discovering and mastering new strategies but even newbies can play without spending time reading about the game. There is great potential for this game as features such as a replay system and a map editor are in the works. I’m looking forward to seeing what the future holds for this game. I don’t see it being the next big strategy game but it can definitely attract casual players that don’t want to or cannot invest a lot of time learning more complex real time strategy games. Nosgoth All Access & Double XP Weekend! Today, Neople has released its first major content update for First Assault, introducing a new character and new map.